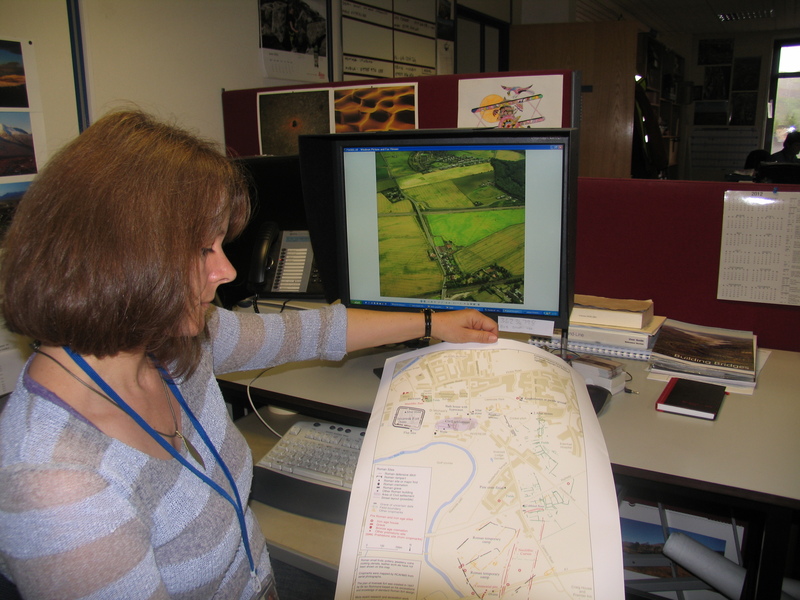 I am Georgina Brown, a surveyor and cartographer in the Landscape Section at RCAHMS. The site that I have chosen is the archaeological landscape around Inveresk. At this point, I had better admit to a slight bias in choosing this site as Musselburgh is my adopted home town. Very little of the archaeology in this area is actually visible on the ground; most is buried below the modern day land surface and has only been revealed when an excavation has taken place or when it shows up as a cropmark in the fields; however, when you put all the discoveries together, they tell a fascinating story. Roman remains were first noted at Inveresk in the 1560s but the story of the fort and its environs is still being added to today. Parts of the Roman Fort were excavated in the 1940s and many other structures and artefacts have since been discovered around Inveresk during excavations preceding building work. The remains of houses, streets and wells of the civilian vicus were unearthed at Inveresk Gate, the base of a possible viewing stand for a Roman parade ground was discovered at Lewisvale Park and, close by, altar stones to Mithras and Sol were found during the construction of the cricket pavilion. Most recently, Roman and Iron Age skeletons along with the remains of an enclosure, possibly used for storing military supplies shipped in from the continent, were found at the former Brunton’s Wireworks site. 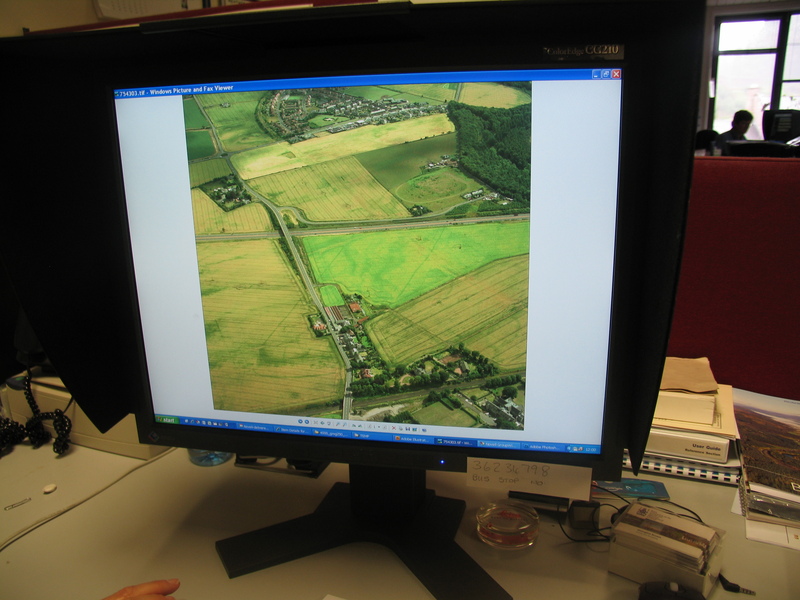 The area’s outlying features – Roman temporary camps and field systems – have been revealed as cropmarks on aerial photographs. Add to this list Mesolithic flints, a 900m long Neolithic cursus, Bronze Age burials, Iron Age house remains and you have a very rich and varied “invisible” archaeological landscape. 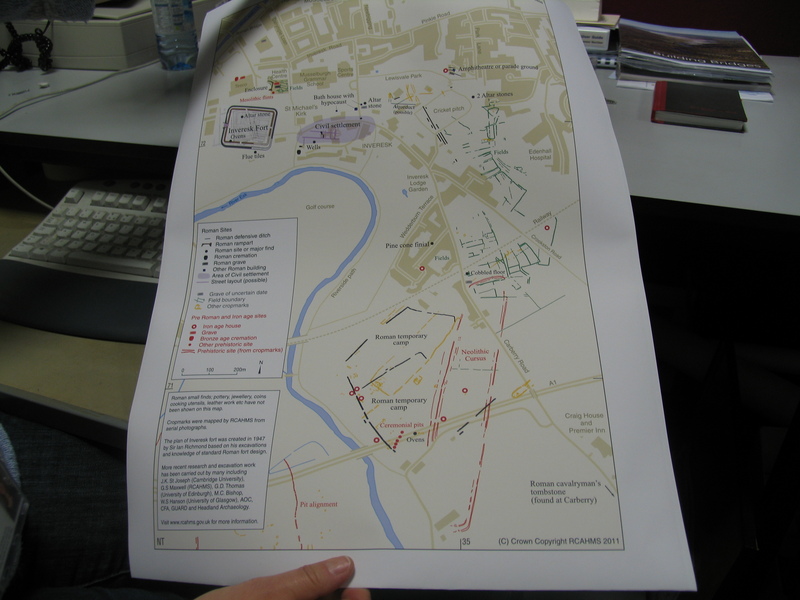 To have a look at these sites and a map showing where they all lie, try the following links.